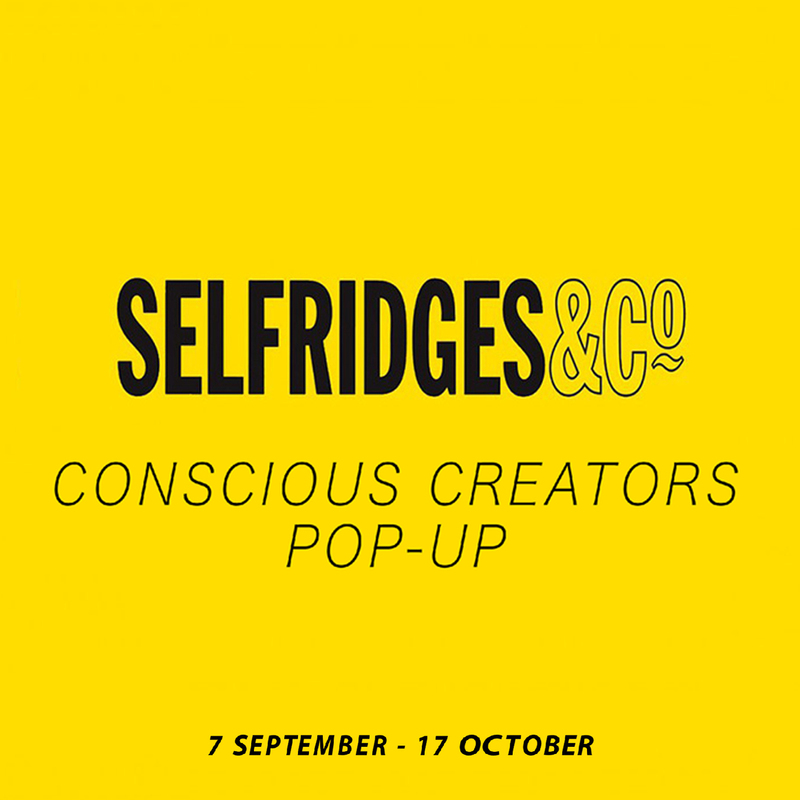 As part of the London Design Festival, Selfridges will be showcasing its sustainable campaign ‘Conscious Creators’, a five-week pop up that highlights brands with sustainable and ethical trading including One Nine Eight Five. In this era of conscious shopping and ‘think before you buy’ Selfridges is leading the way. ‘Conscious Creators’ addresses ethical production in design, an issue that directly aligns with Selfridges’ ‘Buying Better, Inspiring Change’ philosophy. The initiative launches as part of a bustling new hub for the 2018 edition of the design festival, the Marylebone Design District. Head into their London store to see One Nine Eight Fives’ cushions and recycled cotton blankets sitting amongst other beautiful ethical makers products. Head into Selfridges London store to see a selection of our cushions and recycled cotton blankets.